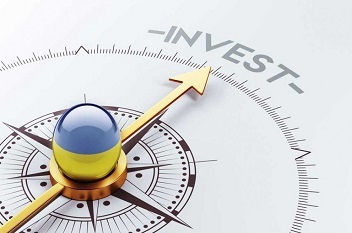 With the festive season fast approaching, investors are setting their eyes on various lucrative investment opportunities. Investing in real estate, especially homes, ranks high among festive asset purchases. In a move that will encourage banks to lend more for housing in large cities and make high value home loans cheaper, the Reserve Bank of India (RBI) had reduced the risk weightage on home loans above Rs 75 lakh to 50% from 75% earlier. The largest lender in the country, State Bank of India (SBI) has cut the interest rate on home loans above Rs 75 lakh by 10 basis points to 8.55% to 8.6%, with effect from June 15. This may help my urban dwellers buy a new house. Historically, FMCG sector companies have shown more growth during festive seasons as the demand for FMCG products rises during this period. Consumer Durables sector including companies like Whirlpool of India, TTK Prestige, Titan Industries, Bajaj Electricals, Gitanjali Gems, Blue Star, Rajesh Exports and VIP Industries also witness huge demand and rise in their margins. People usually prefer buying two wheeler and four wheeler vehicles in festive seasons, therefore, automobile companies generally report increased sales during the festive season. With the introduction of Gold ETFs you can now enjoy all the benefits of investing in Gold without having to worry about the hassles of dealing with physical gold. Gold ETF units are freely traded on stock exchanges during market hours. It is affordable since you can buy as low as 1 gram of gold. On physical gold, you need to pay wealth tax. But there is no wealth tax on Gold ETF investments.